“Hi all, I want to copy music from my iPhone 8 to a specific directory on my computer. Besides, I’m also wondering how to download music to iPhone. Looking forward to hearing any suggestions, thanks in advance!" It’ not surprised for iPhone user that it’s pretty difficult to copy things back to your computer, including backing up music from iPhone to computer. Because of Neither iTunes nor iCloud supports to backup iPhone songs. Then, if you want to restore music from iCloud or iTunes, you will find that you can't do it as you don't have a backup file at all. Apple doesn’t allow users to transfer only songs from iOS device to iTunes. Either to sync your device with iTunes synchronously or nothing. Some of us would like to back iPhone to iTunes and restore from iTunes backup when suffering data loss. However, it will cause another data loss of your new data generated after the date when the backup was made by doing this. In this case, how to backup music from iPhone to computer without taking the risk of modifying or overwriting your important iOS data? It drives many users crazy when have the syncing needs of music from their computer to iPhone. Because if you want a song on your iPhone, iPad or iPod, you pretty much have to use iTunes to get it on there. Or else, buy it directly from the iTunes Store on your device. Want to enjoy music without spending a penny? I would like to recommend the best alternative to iTunes, Google Play Music. It allows users to upload up to 50,000 of their own songs for free to the cloud and listen to it on any device. All you need is to set things up on your Windows or Mac. You can also upload your iTunes Library to the cloud. Find your iTunes Media folder in the first place. Drag and drop the folder into Google Play Music’s web interface. Locate your music folder from your computer, drag-and-drop the folder to the Google Play Music web interface. Download Google Play Music App on your iOS device. Sign in the same Google account you used to upload music. After you’ve done that, you will see all of your uploaded songs mixed in with the free streaming music offered by Google Play. Navigate to the menu in the app and select Music library to only see the songs you uploaded. It’s a pain in the neck to backup iPhone to computer without outside help. So I strongly recommend using a third-party tool called FoneLab iOS Data Backup & Restore. 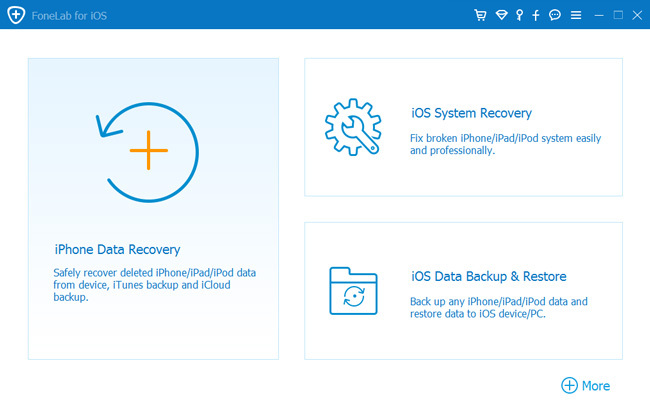 This software is powerful enough to help you selectively and flexibly backup and restore iPhone, iPad, iPod data. In addition, you can backup safari bookmark on iPhone with FoneLab easily and effectively. Step 5. It allows you to select the type of data you want to backup. If you want to backup all data, just tick the box next to the Select All option on the bottom-left. To backup music, only tick the box in front of App Audios. When the process is finished, you can find the backup file in the directory you choose. The software can backup iPhone messages, backup iPhone contacts, notes, videos, call history, WhatsApp, voicemail and so on. It is fortunate that you can recover deleted music on iPhone or recover Apple music on iPad without backup files.